If you’ve never seen roller derby before, it’s pretty epic. The rules… well, I still can’t explain them, but basically two teams muscle their way around a flat track while trying to slow the other team down. Points are earned, elbows fly—it’s all pretty wild. 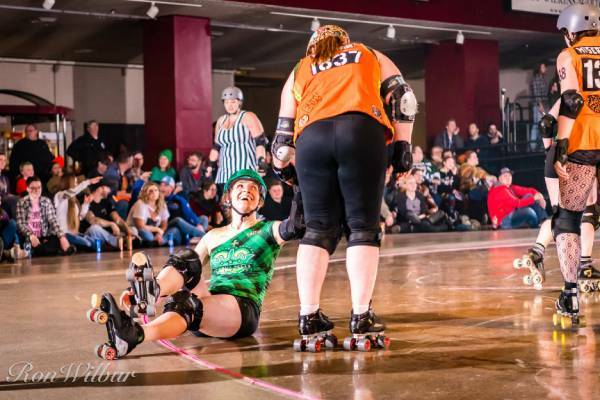 I went to my first roller derby match to see Eng-Sarne, inspired by her run for city council (she ultimately lost in the primary, but was eventually appointed to fill Dave Napier’s council seat when he became mayor). 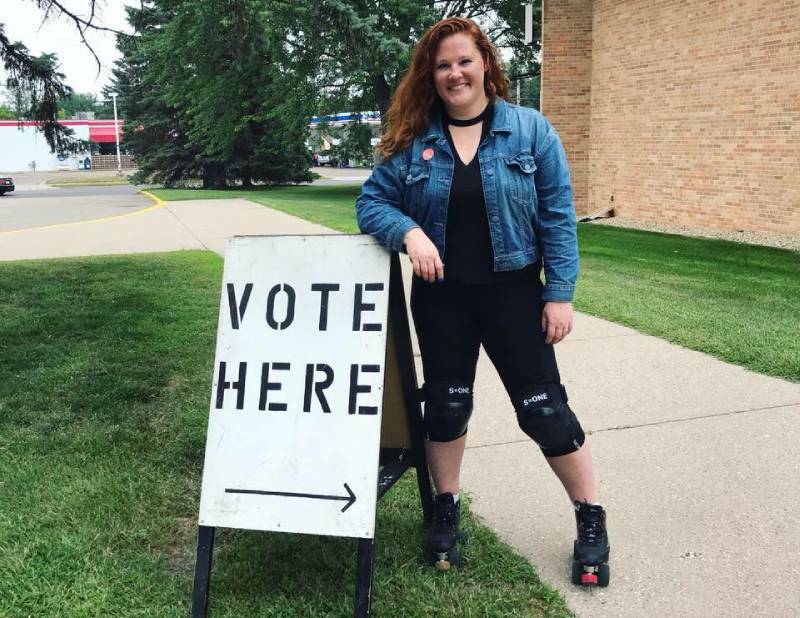 I even saw Eng-Sarne roller-skate her way down Charlton to her polling place on election day. I honked and rolled down my window to cheer her on. What I love about watching Eng-Sarne in roller derby is that she’s tough. But it’s also a sport with a lot of heart. They play hard and are fierce competitors, but there’s still a lot of love. 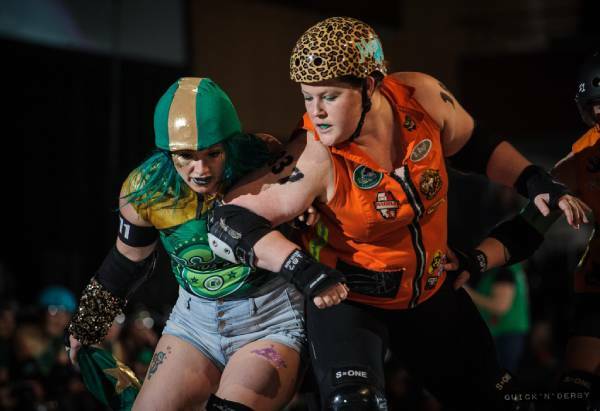 The Minnesota RollerGirls’ loss is already West St. Paul’s gain. Eng-Sarne has only been on the job for three months, and she’s already been up at the capitol multiple times fighting for West St. Paul. Eng-Sarne is trading the track for the council table, but she’ll still get the job done. 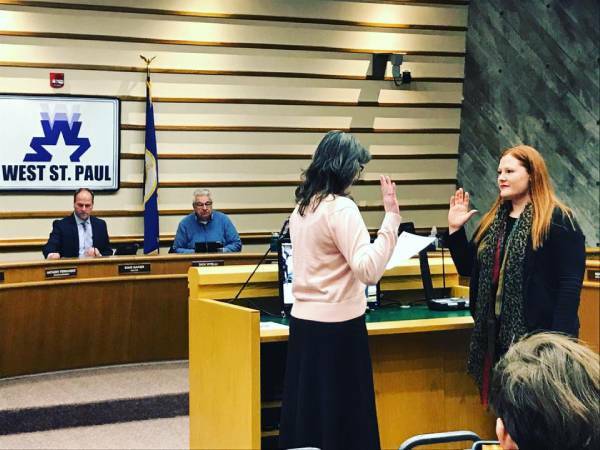 We here in West St. Paul are incredibly fortunate to have Eng-Sarne serving on our city council. She is a great listener, a hard worker, and a person who is happy to tackle a problem and find creative, collaborative ways of solving it. She is approachable, thoughtful, and compassionate. Eng-Sarne brings the best of her experience and excellence in her sport to the council table: she is a team player with outstanding leadership abilities. Thank you, Lisa Eng-Sarne for your exceptional service to the City of W. St. Paul!